"Project Energy" was launched in 1999 to bring fuel efficiency training to women in rural areas of southern Madagascar, in particular to train them to build a fuel efficient stove - the "Toko Mitsitsy"™ - which can produce fuel savings of up to 65% whilst also reducing the amount of time spent by women searching for wood, or family income spent purchasing wood. The TM is built from local natural materials, with mixes varying according to region, to be readily accessible and affordable. 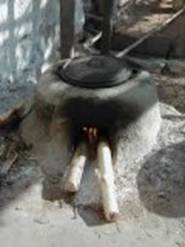 The project trained 124 trainers who went on to train women in villages to build over 36,000 fuel efficient stoves.